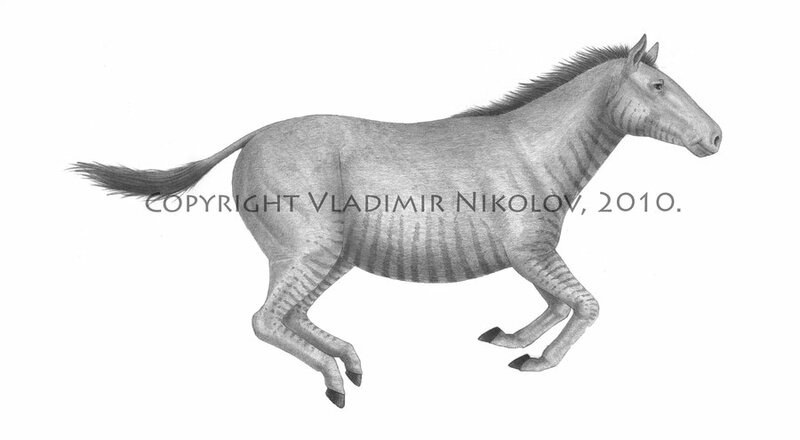 Judging just from Pliohippus pictures, you’d be hard pressed to think of this animal as being like anything other than a modern horse. It closely resembles the modern horse, with one exception. Pliohippus had two pits in its skull that were right in front of its eyes. This feature doesn’t occur in modern horses and paleontologists aren’t sure what it was for. Some have theorized that it may have been additional space to allow this horse to accommodate larger face muscles. Others have thought that it was a resonating chamber that allowed this horse to change the pitch and frequency of its calls. However, there isn’t definitive proof that either theory is true. 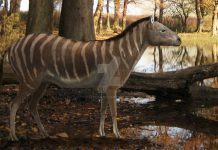 Some of the things that are known about Pliohippus is that it was about 6 feet tall, 8 feet long and weighed around 1,000 pounds. Which is the approximate measurements for a modern horse. 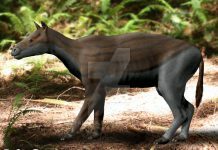 This animal also probably acted in much of the same way as a horse. 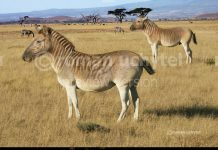 Roaming the plains of North America and living off a variety of different grasses. 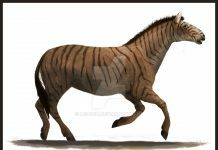 Its gallop was probably around 30 to 40 miles per hour and it probably could run at a top speed of about 50 miles per hour. 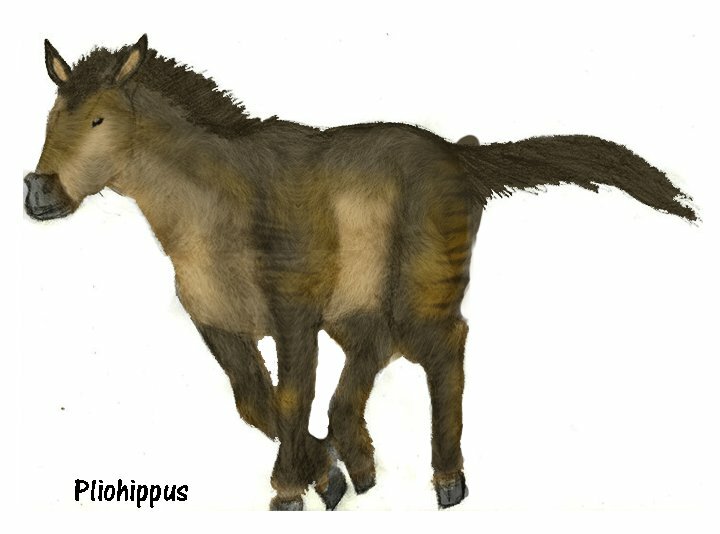 One of the most interesting facts about Pliohippus is whether or not it is the direct ancestor of the modern horse. For a long time, paleontologists that that was indeed the case. 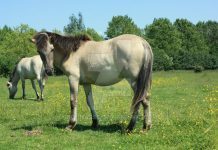 However, some scientists are beginning to think that it was only a cousin of the modern horse. That it has ancestral ties to Astrohippus instead of the modern horse. Regardless of whether that is true or not, one thing is certain. 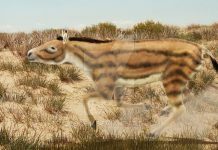 This horse was probably the direct descendant of Merychippus – a horse-like animal which lived during the Late Miocene period or about 5 million years before Pliohippus hit the scene.